The best way to get started is to read these instructions and see step by step how to set up tag management in the Station Analytics system and access your dashboards. 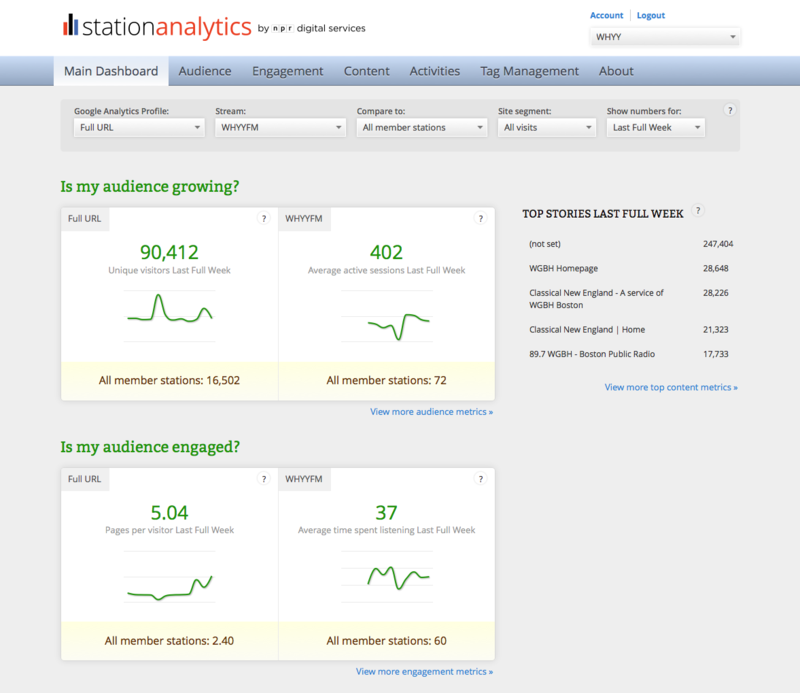 We're excited to announce the launch of a new Digital Services offering: Station Analytics. Its purpose is to provide stations the best business intelligence on your site and your streams, so you can measure your digital performance, benchmark your progress against other stations, and discover insights that support your decision making for all things digital. Having trouble getting setup in the Station Analytics System? Not sure what you need in order to get started? Follow the steps below to get your station up and running on the new system and start benefiting from the new tracking tag today! A: SAS is the Station Analytics System –it’s comprised of two main parts: the Tag Management System (TMS), which generates a custom analytics tag for all your pages, and dashboards showing your station’s site and stream metrics.